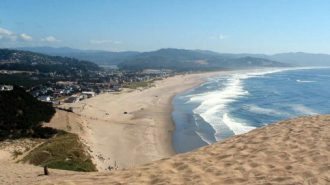 As your home away from home, your RV has many of the modern conveniences that you’ve become accustomed to. This includes lots of electrical appliances and devices. 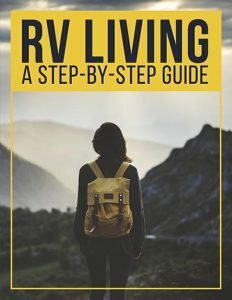 If you plan to use your RV on a regular basis (and especially if you’re going to live in one full time), it’s pretty important to have a basic understanding of your RV’s electrical system and how some of its major parts work. 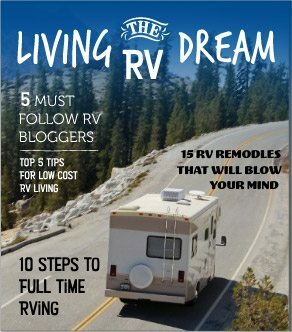 We realize that the majority of RVers are not electrical engineers, so we won’t get too technical (i.e. 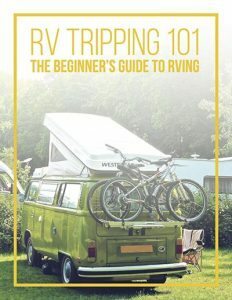 you won’t learn how to rewire your entire RV). However, we will give you some baseline knowledge and vocabulary so that you can understand what’s going on with all of your batteries, panels, wires, and cables. Read on. Whether you’re in an RV or your home, you will never have access to an unlimited amount of electrical power. Therefore, it’s a good idea to review a formula you learned in high school but have probably long since forgotten. Watts, or overall power, is a product of current, or amps, and voltage. As an equation, it’s written as: watts = amps x volts, or W = A x V. If you want to know how many different electrical devices you can have on at one time in your RV (or in your home, for that matter), this formula will tell you. As long as you stay under the amount of available wattage, your circuits will run smoothly. Exceed your available wattage, and you’ll trip your RV electrical system’s circuit. 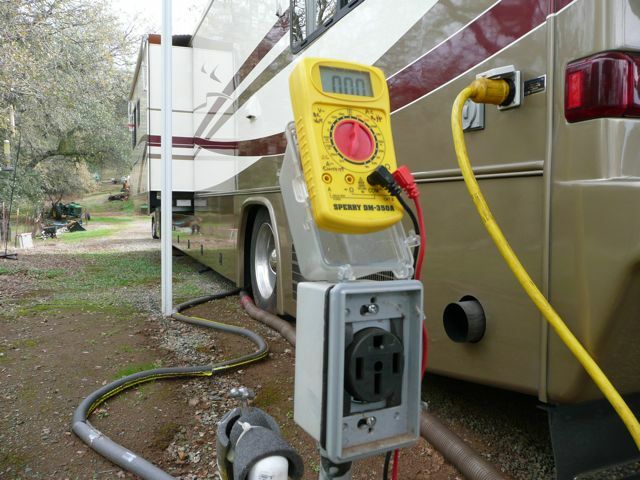 Your RV has a 12 volt electrical system and a 120 volt system. 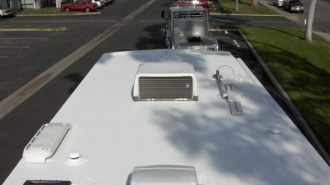 The 12 volt system is powered by a battery (or in some cases, multiple batteries), and it powers things such as the start-up on your water heater, furnace, and refrigerator, plus most of the lights in your RV’s living space, your water pump, your carbon monoxide detector, and a number of other things. 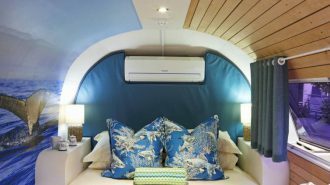 The 120 volt system is powered by an RV electrical hookup plug or a generator, and it powers daily use items like kitchen appliances, your TV, and other electrical appliances. Your RV’s 12 volt system needs to have a total of (you guessed it) 12 volts. This can be achieved with a single 12 volt battery or several 12 volt batteries wired together in a parallel circuit. However, using two 6 volt batteries wired together in a series circuit (to essentially create a 12 volt battery) is typically better than using a single 12 volt battery. This configuration will usually give you a much longer battery life, or what’s referred to as a deeper discharge time. The trade-off for using two 6 volt batteries is that two batteries take up more space than one. However, that trade-off may be worth it if your camping needs require that extended battery life. 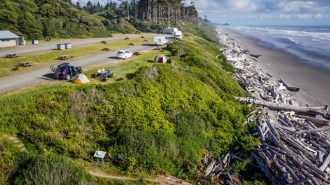 When you’re plugged into a campground RV electrical pedestal (or any power source), your 12 volt battery (or batteries) automatically charges. If you’re boondocking or dry camping, and not plugged in, you can use your batteries to power anything that runs off 12 volt. Adding an inverter to the mix will convert the 12 volt battery’s direct current to a 120 volt alternating current so you can power appliances that need 120 volts and use your vehicles electrical outlets. It’s good to know how much discharge time you have, since your RV’s 12 volt system, like all batteries, will eventually run out of juice and need to be recharged. 30 Amp or 50 Amp? Almost all RVs come with a power cord to plug into the electrical pedestal at a campground (campgrounds with available hookups, anyway). They come in two amperages: 30 amp and 50 amp. A 30 amp cord has three prongs, and a 50 amp has four. Obviously, if you’ve got a 50 amp hookup, you can use a lot more electricity at one time than you could if you have just a 30 amp hookup. *Remember to refer to the electricity formula at the beginning of this post for how much more power you’ve got. 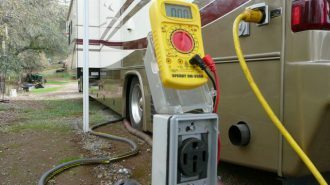 While many campgrounds do have RV electrical hook ups for both 50 amp and 30 amp cords, some campgrounds have only 30 amp hookups available. Therefore, it’s a good idea to invest $20 or so in a 50 amp to 30 amp adapter. 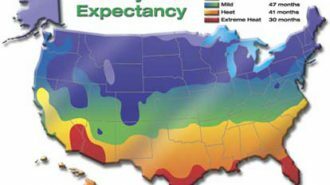 Keep in mind that if you’re adapting your amperage down to 30, you won’t be able to use as much electricity as you would have if you were plugged in at 50. Also, you want to use the shortest adapter and extension cords possible to avoid a voltage drop. 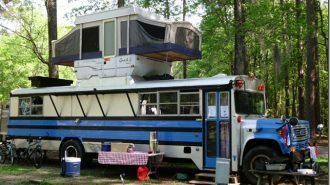 Also, while an RV with 50amp capacity can be adapted to use a 30amp cord, an RV with only 30amp capacity can never be adapted to use a 50amp cord. 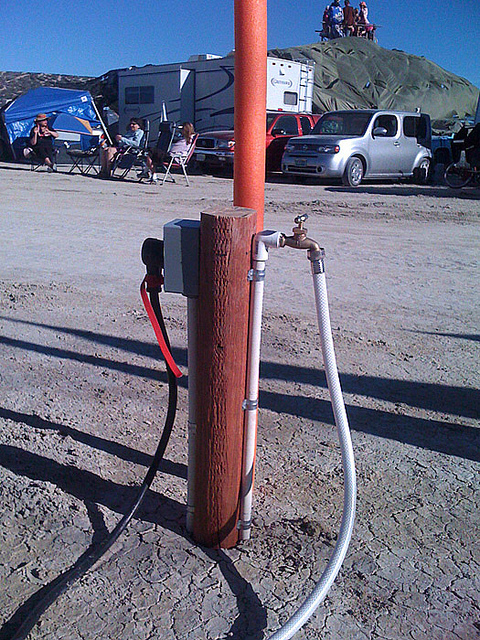 When you pull into your campground site it’s tempting to plug right in and turn everything on. However, you want to keep safety in mind, especially when dealing with electricity. First, it’s a good idea to test the hook up with a polarity tester to make sure the campground’s wiring is in good shape. If it’s not, your polarity tester will tell you before you fry any or all of the components of your RV electrical system. 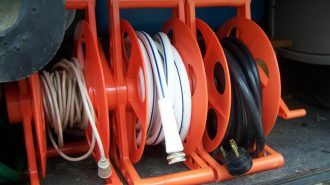 This is a relatively common and affordable tool that can be purchased for $40 or less, and it’s a great insurance policy against inadvertent damage to your RV electrical wiring. 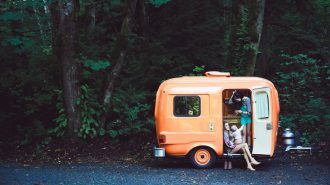 Next, before you plug in, take a few safety precautions and switch everything off — both your RV’s electrical system and the RV electrical pedestal. Once your power cord is firmly plugged in, then switch them on. 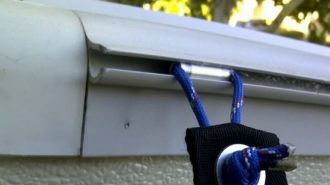 You might also consider installing a surge guard to protect your RV’s electrical system against potentially damaging surges. These cost a few hundred bucks, but again, it’s insurance against a bigger, more destructive problem. Not everything you plug in will draw the same amount of electricity. Some devices run quite well on very little power, while others are big draws on your available power. 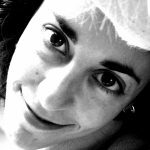 In general, anything that generates heat or gets cold will draw a lot of power, and you can’t run too many of these at once. This is especially the case if you’ve got a 30 amp power cord. 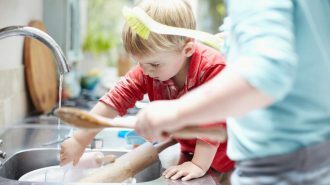 Most of your kitchen appliances use a lot of electricity. 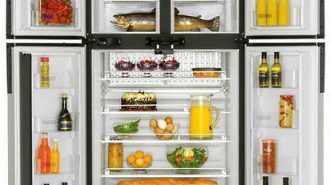 Your microwave, coffee maker, and toaster are all electricity hogs. 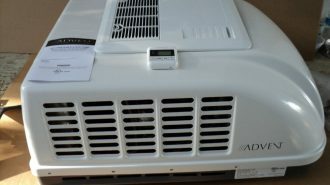 Air conditioning units also pull a lot of power, as does running a slide out. Also, bathroom devices like hair dryers and curling irons use a lot of electricity. Items like your TV and stereo, though, use considerably less power. 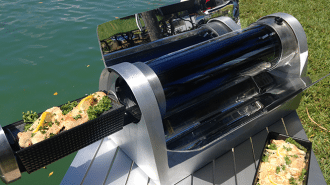 If you’re an RVer who likes the idea of camping off the grid, or you enjoy public campgrounds than may not offer power hook-ups, you might consider using solar panels to power your RV and charge your batteries. 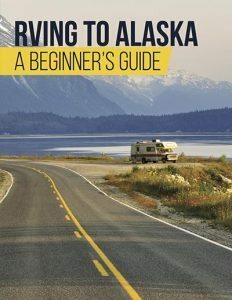 This is an especially great option for RVers who prefer boondocking, or dry camping, as there’s never really any need to plug in. 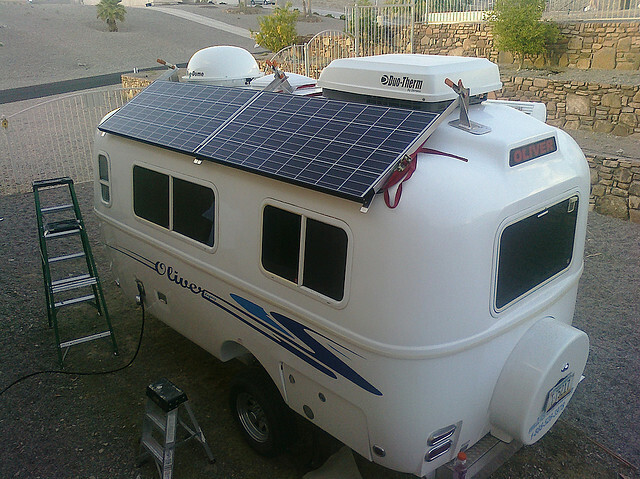 RV solar panels come in a variety of sizes, and they’re all rated according to how many watts of energy they produce. Bigger RVs need more panels, and they’ve got the roof space for them. Solar panels get wired directly to the battery and inverter/charger unit, so while there’s some upfront work to get them up and running, the big benefit is that you can be almost totally self-reliant for your electrical needs. Regular maintenance and inspection is the easiest way to spot a small problem before it becomes a big issue. On a frequent basis take a look at your batteries and all of their connections. A good time might be just before you depart on a trip. 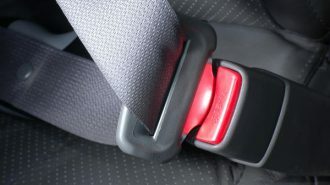 Check to make sure that all of the connection points are secure, nothing looks damaged or frayed, and everything is clean with no signs of corrosion. If you see something that looks off, it’s a good idea to have it checked out. Additionally, know where the RV electrical panels are in your motorhome. If something’s not powering up as it should, first look to see if a circuit is tripped or if a fuse is blown. You can usually see if a fuse is blown, but sometimes you can’t. In that case, you can use a small test light that will illuminate if a fuse is good. If you replace a fuse and it blows right away, that’s a good sign that there’s a bigger problem. You can also try to follow power lines to determine if there’s a connection issue, though these can often be hard to find without professional help. If you’re comfortable doing electrical work, then you already know the safety precautions to take: turn off power at the source before working, treat all wires as if they’re live, use tools with non-conducting handles, and so on. However, if you’re not confident about your ability to work with electricity, don’t take chances with your RV or with your life. Get your vehicle serviced only by individuals who are knowledgeable and experienced in RV electrical repair. In a perfect world, you’d just plug whatever you wanted into your RV’s outlets, and they’d work. You wouldn’t have to think about current, you wouldn’t be concerned about voltage, and your batteries would always be fully charged. While we of course don’t live in a perfect world, your RV electrical system can, for the most part, stay out of your way and let you power what you want without giving you too much trouble. 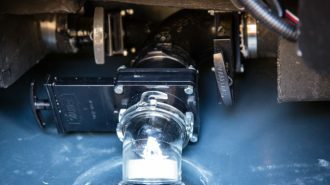 However, it’s still good to know the basics of how the current is flowing and how your RV electrical system works. And, we can’t say it enough – don’t take chances with electricity in your RV. It’s a powerful force, and it’s deadly in the wrong hands. If you’re not comfortable doing a repair, if an RV electrical connection seems faulty, or if you’ve got concerns about your batteries or wiring, have an experienced professional take a look. 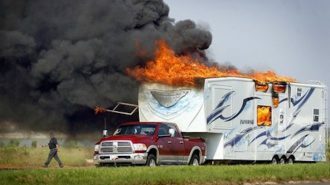 It could save your RV, it could save your budget, and in serious situations, it could save your life.